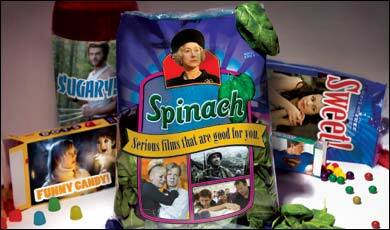 There are times when I often prefer a spinach salad to candy, both culinarily and cinematically. Obviously I buck the trend. Tentpole is showbiz talk for your summer blockbuster movies, the ones that gross hundreds of millions of dollars. It's an instance of Variety slanguage. Incidentally, blogger has stopped sending comments to my e-mail inbox so I have no idea how long these have been here. Hm. Another reason to switch to the new blogger?